In case you want to hide a folder on Windows, how simple is that you use the default features on Windows. 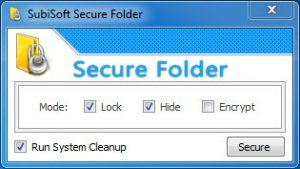 If you want your folder more secure, we recommend you need to use the special software for hide folder and setting password protect a folder. In this tutorial, we guide you how to password protect a folder on your PC Windows. 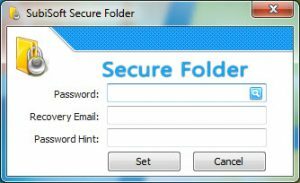 Secure Folder is a folder security software that lets you hide, lock and encrypt folders through an intuitive and simple interface. Secure Folder supports 3 types of modes: Lock, Hide, and Encrypt. You can select any or all of the 3 modes to secure folder. You just right click on the folder and choose the mode to secure folder. You can download Secure Folder at here. The unlimited number of folders can be protected. Implements 256-bit AES to encrypt files. What do you forget your password Secure Folders? 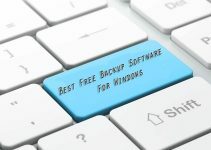 You will need to start your PC Windows in Safe Mode, then launch the program, or you uninstall the Secure Folders in Safe Mode. 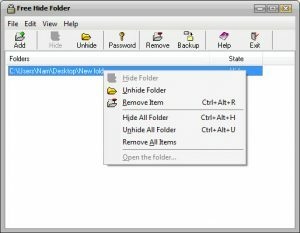 Free Hide Folder is a free computer security software to hide your private folders. It is very useful to keep your personal data away from others. Others will not know where your personal files exist and they will not be able to accidentally view them. 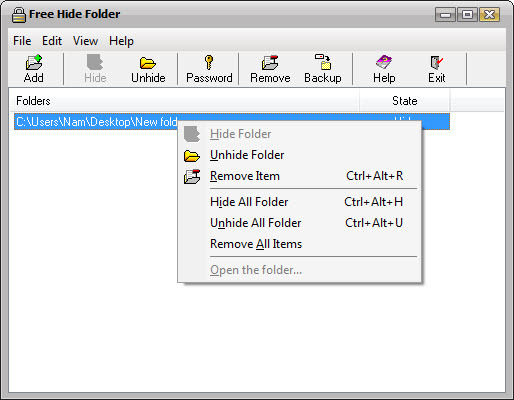 Free Hide Folder is protected by a password that you can change or remove at any time. It’s actually very easy to hide a folder with Free Hide Folder. Password protection when running program. No file system structure modifications needed. Any number of folders may be hidden at the same time. You can hidden folder simply with a few mouse clicks. First, you need to launch Free Hide Folder, locate and select the folder you want to hide, and then click Hide Folder button to hide folders. 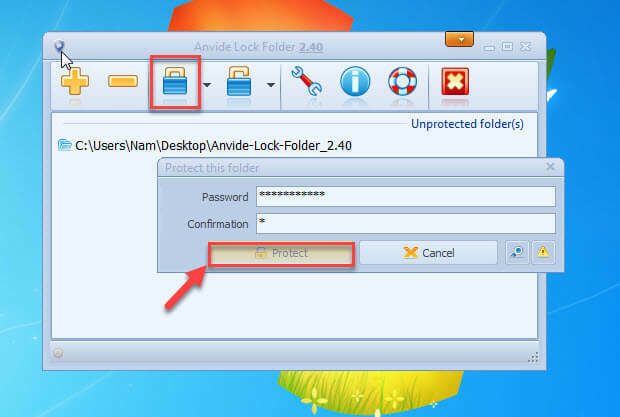 Anvide Lock Folder is a free app for PC, it allows you to hide or lock multiple folders via a password protection. You can lock the app with a master password. You can protect and hide folders from your file directory. You can also set a password hint just in case you forget your password. Configurable user settings with hotkey support. 100% free download, no spyware, adware or virus. Using Anvide Lock Folder to set up password protect folder is a very simple process: select the folder and click the Protect button (or F5), type a password, type an optional password hint. Do all these things and the application will password protect folder, lock, and hide the folder. Download Anvide Lock Folder click here now. Over here we introduce to you 3 ways password protect folder, you can use them to protect important folders. If you see this article “How To Password Protect A Folder On Your PC Windows” is useful for you. It’s also the best way to which you can let others support us! Thank you. 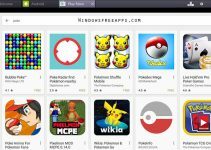 Free Apps Download For PC Copyright © 2019.